Keep an eye on all of your current eBay transactions. The first rule of online auctions is that you need be constantly connected—if not, how will you be able to bid on a desired item last minute if you’re away from your computer? 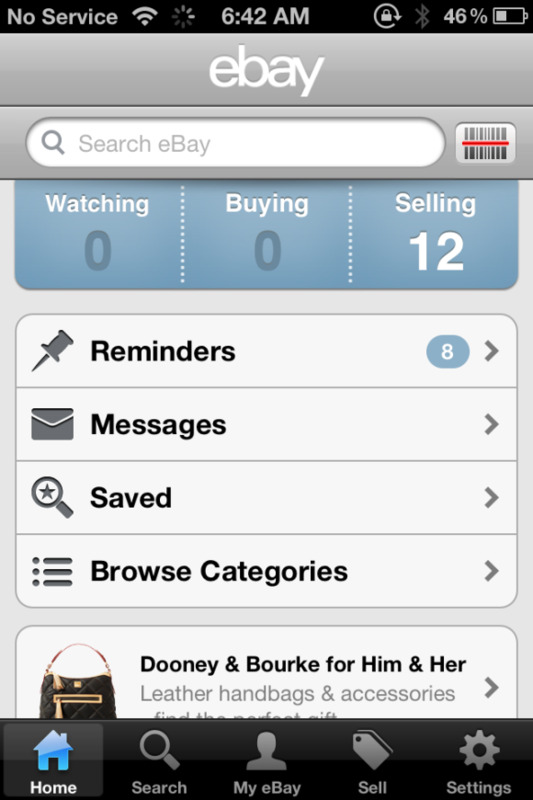 Thanks to eBay’s iOS app, you don’t have to worry about ever missing an auction. This full-fledged app allows you to do just about anything eBay’s full website does. eBay is a free download for iOS devices running iOS 4.3 and later. 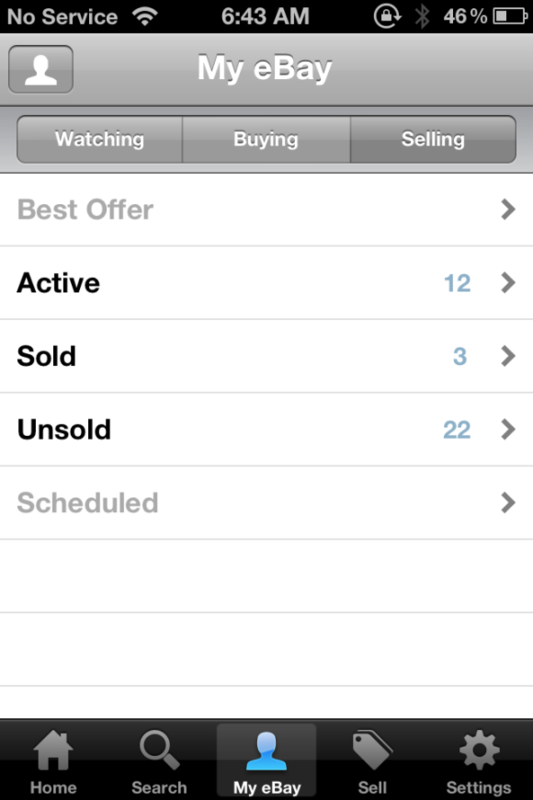 The app lets you track items that you’re watching, bidding on, or selling. If you’re a buyer, you can review and submit best offers, bid on items at the last minute, and send messages and questions to sellers. If you’re a seller, you can review submitted best offers, track your sold and unsold items, list new items with your own item images, relist unsold items, and create and schedule auctions. Place new items up for auction straight through the app. The eBay app lets you search for items to purchase (or, if you’re just curious—say, if you’re looking at an item for resale and you want to know how much it’s selling for) using a rather comprehensive search feature. You can search for an item using keywords or by scanning a UPC, EAN, or QR code, or you can refine your search to show completed listings, sold items, and items with free shipping. Items can be sorted by category, condition (new or used), price range, and buying format (auction or buy it now). Once you find what you’re looking for, you can place a bid, opt to Buy it Now, or add it to your Watch List, all through the app. You can also share the item via Facebook, Twitter, text message, or email, or sell an item similar to the one you’ve found. The main eBay mobile home screen houses your messages center, where you can read, send, and respond to messages from other eBay sellers. Here, you can also save searches, manage notifications (for example, you can set eBay to notify you when a watched item is ending, when an item you’ve bid on is ending, and when you’ve been outbid, won an item, or received a best offer), and check out eBay’s Groupon-like Daily Deals site. The eBay mobile app is useful for anyone who uses eBay, whether you’re a Power Seller or a casual buyer. The app is reliable and ultra-compatible with eBay’s auction service, which means you can use it to place last-minute bids. eBay added a ton of features since the app’s first release, and you can now do just about anything you need to except, perhaps, access the seller/buyer information center. But, assuming you’re versed on eBay’s rules, regulations, and general information, eBay’s app is an excellent download for all eBay users. 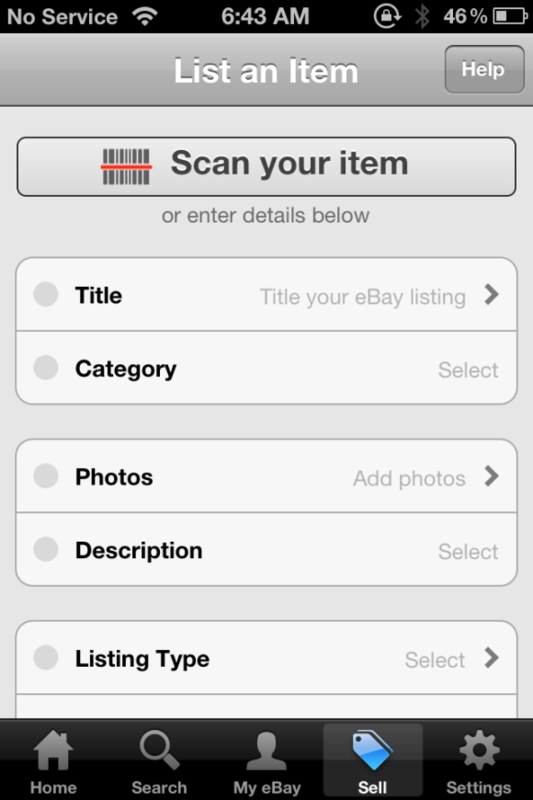 eBay's mobile app lets you create auctions, track listings, and search for and purchase items from your iPhone.